We are repairing peeling vinyl doors in Perth since 1984. Vinyl wrap doors or thermofoil doors are usually peeling bubbling after 5 years. Cabinets are a large feature of the kitchen so having doors that not only look great, but stand up to the arduous demands of the room is essential. Vinyl wrap kitchen doors offer an attractive, versatile, durable and low maintenance option but like with anything can eventually start to wear and tear over time. Vinyl wrap doors are made up of a MDF (Medium Density Fibreboard) panel. 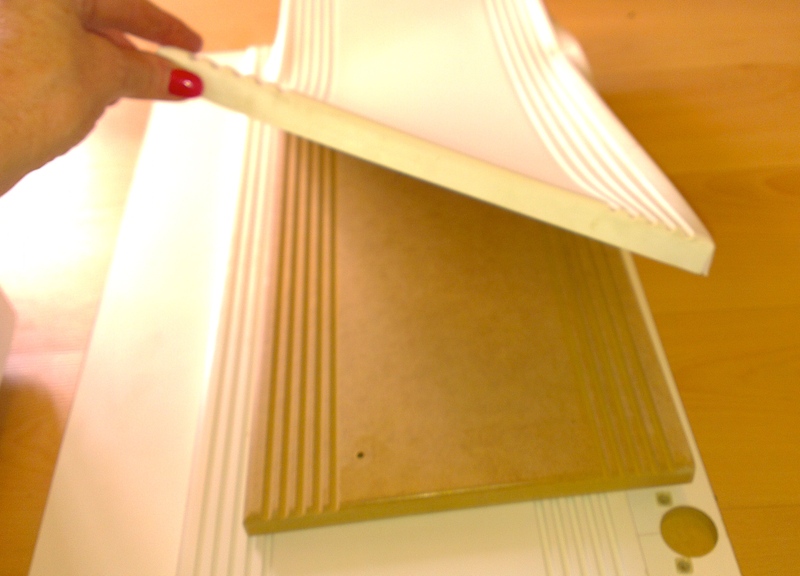 The MDF is cut and profiled as desired, and then glued and covered with a vinyl form. After 5-7 years, the glue often separates and the vinyl peels off or bubbles. It is not uncommon for people to expect that their doors will need to be replaced, but there is a more efficient and inexpensive alternative. Vinyl wrap doors can be restored by painting them. At Dianella French Polishing, we offer a high quality painting and polishing service that will have your doors back to their original form in no time. Not only is there no need to replace kitchen cabinet doors but we can paint the colour of your choice for a brand new look and feel. Contact us today to discuss how we can repair your peeling vinyl doors in Perth. We are Perth's specialist in repairing peeling vinyl doors. Don't buy a new kitchen after just 5 years. We can save you 1000's of $$$ by re-storing your kitchen doors. We remove the peeling vinyl wrap and re-surface the doors with two-pac paint. The freshly painted doors are heat and scratch resistant. They look like brand-new.